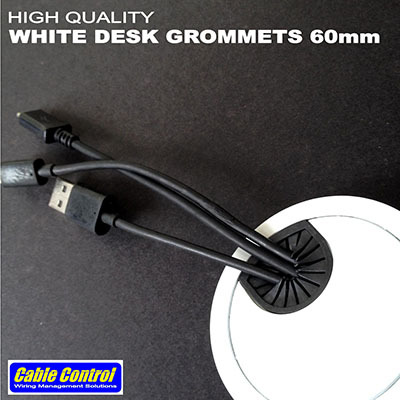 Easily organize your workdesk / workstation wires with Cable Control's High Quality Desk Grommets. 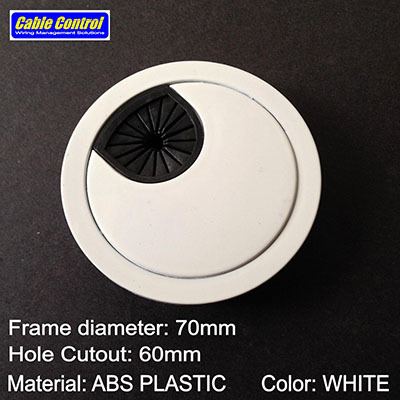 The same quality you've come to expect in our desk grommets, but now available in white color! 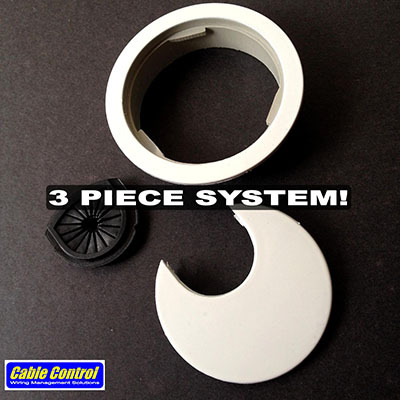 3-piece system makes it easy to thread even large head wires and plugs. Easy install! 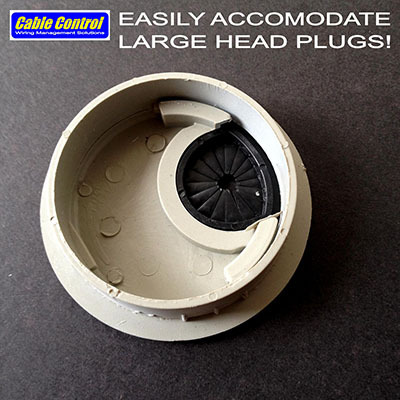 Simply cut out the appropriate hole size with a hole saw, flush mount your Cable Control desk grommet, and you're done. PhP 100.00 for 4 pcs.